The Redcoats took their revenge in a well-planned bloody ambush. Their targets were soldiers of the Stockbridge Mohican community, British allies in previous wars but now effective raiders for George Washington’s Continental Army, in a standoff just north of New York City. 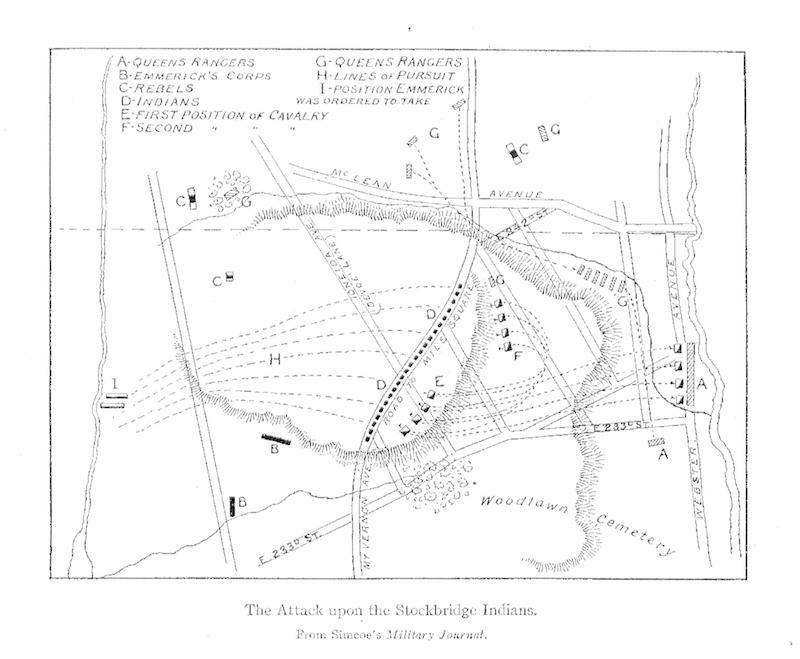 By the end of the intense fighting on Aug. 31, 1778, the Stockbridge Indian Company had taken heavy casualties. Its leaders, the sachem Daniel Nimham and his son Abraham, were dead. The Indian refugees in the praying town of Stockbridge, Mass., were so weakened that within a generation they were forced on their long trek west. What became known as the Battle of Kingsbridge was more than an episode in the American Revolution; it was a turning point in the struggle of the Hudson River Indians to preserve their rights amidst a flood of European settlement. The road to this turning point tracks the career of Daniel Nimham (1724?–1778), the most prominent American Indian associated with New York’s Hudson Valley in the second half of the 18th century. 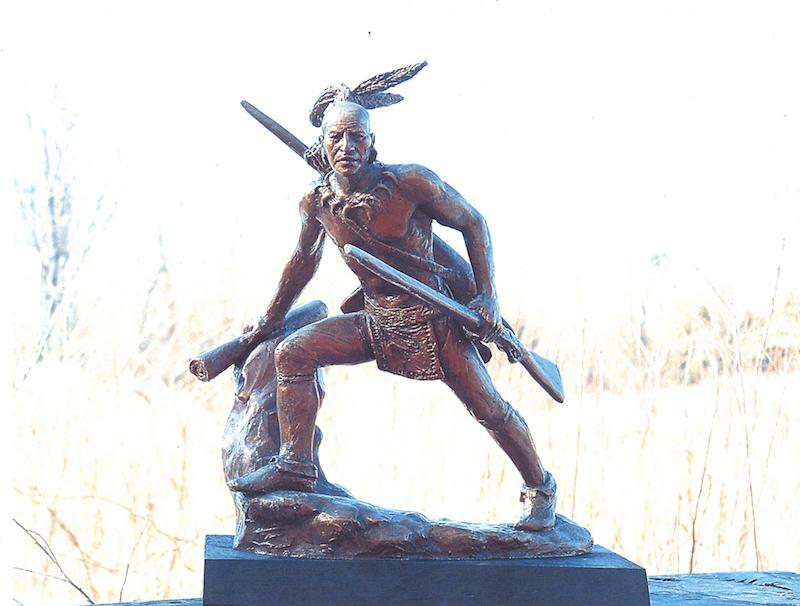 Nimham was a sachem, the leader of several hundred Munsees from the Hudson Highlands, whom historical documents variously refer to as Wappins, Wappingers, Opings, Pomptons, River Indians or Stockbridge Indians. He and his illustrious family served as diplomats, participated as warriors in colonial wars and fought to save their Hudson Valley homeland. As an aged officer in George Washington’s Continental Army, Daniel served alongside his son Abraham who commanded the Stockbridge Indian Company. This 60-man regiment had previously seen service in the Continental Army at Barren Hill, Bunker Hill, Monmouth Courthouse and Saratoga. Tragically, most of the members of the “Indian Company,” as they were known, were slaughtered by British forces, including Hessians and Loyalists in and around what is now Van Cortlandt Park in the northern Bronx. The Stockbridge Indians had been British allies throughout the colonial wars, including the French and Indian War. They had served the British in the much-publicized Rogers’ Rangers, ironically a detachment of the Queen’s Rangers who later annihilated the Stockbridge Indian Company at Kingsbridge in 1778! By that time, the Stockbridge Indians had wholeheartedly joined the Revolutionary cause. After the war, General Washington wrote that they had “remained firmly attached to us and have fought and bled by our side; that we consider them as friends and brothers.” The path that led to this change of allegiance and ultimately to the carnage in the Bronx is the focus of this article. The road to this turning point tracks the career of Daniel Nimham (1724?–1778), the most prominent American Indian associated with New York’s Hudson Valley in the second half of the 18th century. 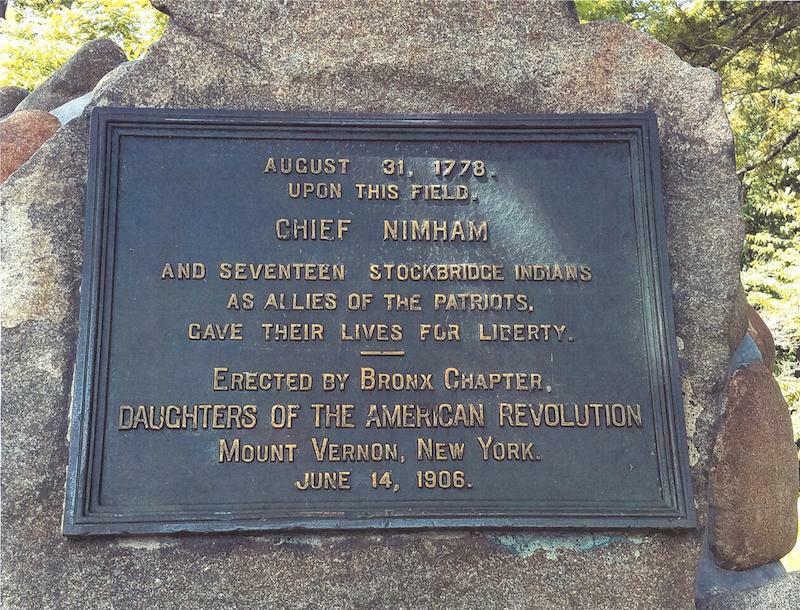 Nimham was a sachem, the leader of several hundred Munsees from the Hudson Highlands, whom historical documents variously refer to as Wappins, Wappingers, Opings, Pomptons, River Indians or Stockbridge Indians. He and his illustrious family served as diplomats, participated as warriors in colonial wars and fought to save their Hudson Valley homeland. As an aged officer in George Washington’s Continental Army, Daniel served alongside his son Abraham who commanded the Stockbridge Indian Company. Wars, epidemic diseases and land pressures from European colonists forced many American Indians living in the Hudson Valley – such as the Mahicans (Mohicans) and Munsees – to migrate out of their homeland. Some went to Pennsylvania, to Iroquoia or to French Canada. The establishment of John Sargent’s Stockbridge mission in the mid-1730s offered protection to Mahicans whose villages were located north of present-day Poughkeepsie to Saratoga, and the Munsees of the lower Hudson, tribes then known as the “River Indians.” Over time those Indians who migrated to Sargent’s mission, mostly Munsee and Mahican, became known as Stockbridge Indians. By 1763, 75 percent of the region around present Stockbridge, Mass., was held in common by these Indians. In 1774, members of other American Indian communities, namely the Brothertowns, from Long Island, Connecticut, Massachusetts, and Rhode Island, joined the mission. At this most famous of colonial New England’s praying towns, American Indians converted to Christianity and slowly adapted to the “white man’s ways.” Nevertheless, they remained Native, racially set apart by their white neighbors. They also retained many of their beliefs and customs and lingering memories of their homelands. Since the Stockbridge mission was close to the eastern New York homeland of the Munsees and Mahicans, some of these Indians continued to return and renew their cultural and spiritual ties to their lands. These same American Indians led by Daniel Nimham fought with determination to retain their homeland well after their re-settlement at Stockbridge. The final dispossession of the Wappingers began in the late 17th century. Two Dutch settlers, Jan Sebering and Lambert Dorlandt, “purchased” a tract of land on the east bank of the Hudson from the Wappinger. But these two never obtained a formal patent from the royal governor, one that was required before land could be purchased from American Indians. Nonetheless, in the 1690s they sold the land to Adolph Philipse, a wealthy Dutch New York City merchant with roots in the colonial aristocracy. On June 17, 1697, the governor retroactively granted Philipse the Highland Patent for 205,000 acres in southern Dutchess County, part of which extends into Putnam County today. The Patent included the lands illegally obtained by Sebering and Dortlandt. In 1702, in a “purchase” from a small group of American Indians, Philipse extended his landholdings in what is called the Robinson Indian deed, all without the governor’s approval and without the required patent. By the 1760s, Adolphe Philipse’s grandnephew Philip Philipse and three grandnieces – Susanna Robinson, Mary Morris and Margaret Philipse – inherited the lands. They began leveling rents on those who had settled within the Highland Patent. By this time, numerous Yankee colonists from the Connecticut Valley had migrated to the eastern bank of Hudson and had settled on the same lands claimed by the Philipse’s heirs. These non-Indian colonists refused to pay rents, bypassing the so-called landlords. Instead, they negotiated more reasonable deals directly with the Wappingers. Local sheriffs were sent out to evict these anti-rent protesters. Confrontations resulted. Angry with the Philipses, the Wappingers supported this anti-rent movement. In return, anti-rent leaders supported the Wappingers when they formally filed a land-claims suit before New York’s Council. The case specifically dealt with the 205,000 acres stretching from the Hudson eastward to the Connecticut border. On March 6, 1765, Daniel Nimham was given a hearing before the New York Colonial Council in New York City. Unable to secure the services of an attorney, he and several anti-renters presented evidence questioning the Philipse’s right to Wappinger lands. Attorneys for the Philipse heirs produced a deed dated August 13, 1702, that had never been formally filed. The deed was fraudulent. However, the council, composed of major colonial landowners, found for the Philipse heirs. Nimham refused to accept the verdict as final and decided to appeal directly to royal authorities in London. Financed by the anti-renters, he journeyed to Great Britain and presented the Wappinger petition before the Board of Trade, which saw merit in the Wappinger argument. The Board then remanded the case back to the New York Council for a final determination. In two days of hearings, Nimham once again brought the case before the New York Council. Hindered by having no support from Sir William Johnson, the powerful British Superintendent of Indian Affairs for the Northern Department, the Wappingers’ petition was once again dismissed. Soon after, the Philipse heirs had the local sheriffs eject the anti-renters from the disputed lands. Many of the dispossessed Wappingers, now without any non-Indian allies or legal protections, then made their way back to Stockbridge. 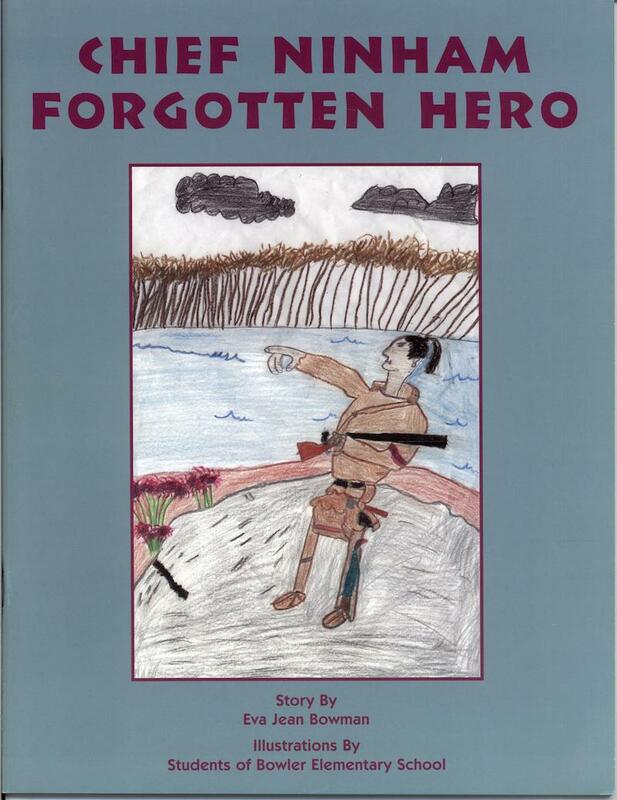 Once loyal warriors of the British in the colonial wars, they had now been abandoned by their allies. American Indian bitterness toward British authorities intensified every year right up to the outbreak of the hostilities at Lexington and Concord on April 19, 1775. Because of the pro-American leanings of their missionary, John Sargent, Jr., and the bitterness about the land claim case, the Stockbridge Indians joined the Continental Army right at the beginning of the Revolution. Indeed, 35 of these American Indians volunteered as minutemen even before the outbreak of war! As early as the spring of 1775, the Stockbridge sent emissaries to the Kahnawake Indian community in Canada, carrying messages from the American patriot Ethan Allen urging Mohawk neutrality. At Albany in the late summer of 1775, the Stockbridge delegates assured the American commissioners that they were fully committed to the Patriot cause. They insisted: “Whenever you go we will be at your Side. Our Bones shall lay with yours. We are determined never to be at peace with the Red Coats while they are at Variance with you…. If we are conquered our Lands go with yours, but if we are our victorious we hope you will help us to recover our just rights.” Later, in November 1776, John Sargent, Jr. wrote the Continental Congress that his flock had no interest in remaining neutral and that they “have made themselves acquainted with the merits of the controversy, and have taken an active part in our [Patriot] favor.” He indicated that they had sent wampum belts to the Six Nations and the Shawnees to ascertain which of them were interested in allying their nations with the American cause. In the summer of 1778, the Stockbridge Company was sent to White Plains to serve under the overall command of General Charles Scott, a Virginian. The Saratoga campaign of the previous year had ended in disaster for the British, and the American Continental Army held sway from White Plains north in the Hudson Valley. New York City remained in British hands until the end of the Revolution. With the French entering the war on the side of the Americans and sending their navy to aid General Washington in June 1778, the British viewed the city, its great port and its environs as essential to maintaining its war effort in the North. However, the area around today’s Yonkers, N.Y., and south to the Bronx border was a no man’s land. The mission of the Stockbridge Indian Company as well as other units stationed in White Plains was to patrol the area of southern Westchester County right to the New York City line and to gather intelligence on British troop movements. Eleven days before the Battle of Kingsbridge, the Stockbridge Indian Company ambushed a British force under the command of Hessian Andreas Emmerick, killing one of his chasseurs or light cavalrymen and wounding another. News of the Indian force on the northern border of New York City spread. 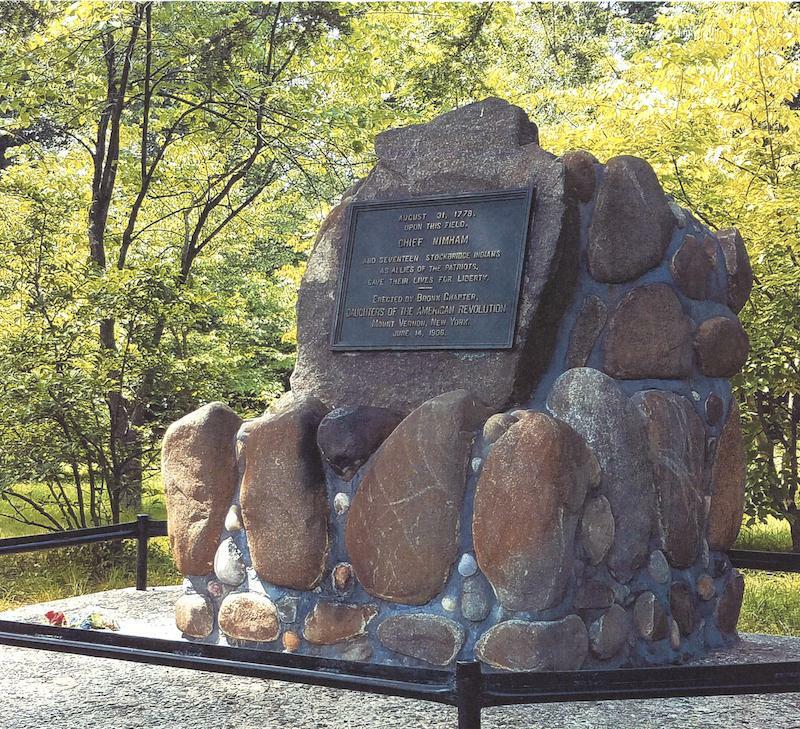 Two days before the Battle of Kingsbridge, General Scott gave orders to Allen McLane, an officer who had commanded Oneida Indian troops at the Battle of Barren Hill in May 1778, to coordinate his command with the Stockbridge Indian Company. Scott ordered McLane and his forces, Indians and non-Indians, to annoy the enemy and prevent them from making incursions into territory held by the American rebels. His soldiers were required to send all intelligence back to headquarters “in the most full and perspicacious manner,” and conduct themselves in a prudent manner. As a result, on the morning of August 31 a Continental Army force composed of non-Indians commanded by Colonel Mordecai Gist of Maryland ambushed a green-uniformed Hessian company in what is today’s Yonkers. Six Hessians were killed and six others wounded. The Hessians were forced to retreat back to the New York City line. By this time, the British command had already drawn up a plan to retaliate against the Indians around the same area where the Hessians had retreated to safety. They gathered an imposing force that included 500 British regulars, Hessians and Loyalist troops. They now set a trap. Three of its high-ranking officers were involved in implementing the plan. Andreas Emmerick, a professional German soldier from Westphalia who had served the British since the French and Indian War, commanded the Hessians; John Graves Simcoe was the commander of the Queen’s Rangers. (After the war he had an illustrious political career in British Canada, becoming Lieutenant Governor of Upper Canada). 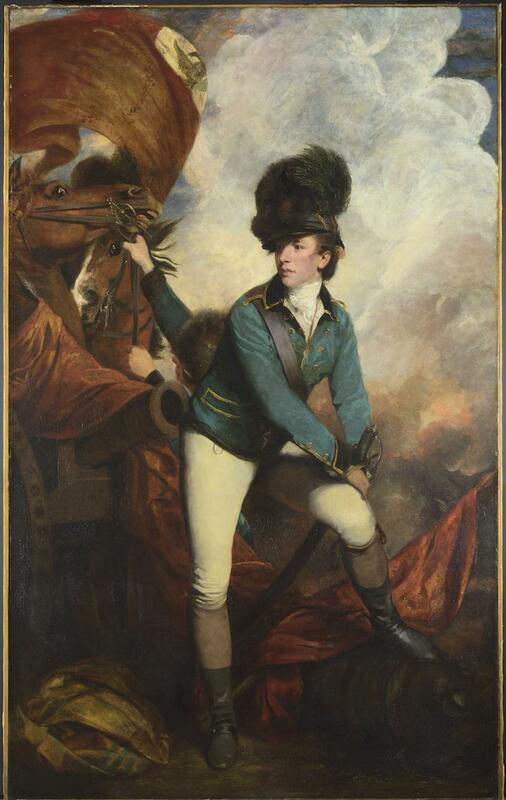 Simcoe’s close friend, Banastre Tarleton, was the most notorious of the three. He had won fame by capturing Continental General Charles Lee at Basking Ridge in December 12–13, 1776. Tartleton was referred to during the war, among other names, as the “Butcher” and “Bloody Ban.” Later, in 1780, he was accused of massacring Continental soldiers after they surrendered at the Battle of Waxhaws in South Carolina. A stylish dandy, Tarleton was known for wearing a leather helmet with antique-style applique and a plume protruding from its upper front side that later became standard issue for all British light cavalrymen. All three officers were colonels and commanded combined units of cavalry and infantry, although Tarleton’s Dragoons were best known as cavalrymen. The British set their trap on Cortlandt’s Ridge on the northern end of what today is Van Cortlandt Park, right on the Bronx side of the border with Westchester County. The Stockbridge Indian Company, composed of 60 warrior-soldiers, fell into it. The sight of Emmerick’s forces drew the Indians into the open. Then Simcoe’s infantry struck and hit the left flank of the Indians. Surrounded and outnumbered more than eight to one, the Indians attempted to fight back in what became hand-to-hand combat. Simcoe, who was wounded, later described the bloody scene in his journal: “The Indians fought most gallantly; they pulled more than one of the Cavalry from their horses.” According to Simcoe’s journal, Daniel Nimham called out to his warriors that “he was old and would stand and die there.” He was cut down and killed by Private Edward Wight, a British light cavalryman. Then Tarleton’s light cavalry, the First Dragoon Guards, composed of 175 sabre-rattling horsemen, entered the battle and broke the Indians’ line of defense. Many in the Stockbridge force, now in retreat, were hunted down by Tarleton’s cavalry and killed. Some of the Indians survived by making their escape over Tibbetts Brook. Subsequently, General Scott reported to General Washington about their return to White Plains: “There are no more than 14 Indians Yet com[sic] in. Among the missing is Capt. Nimham and his father….” Three other Indians, who were captured during the fighting, were later freed in prisoner exchanges. 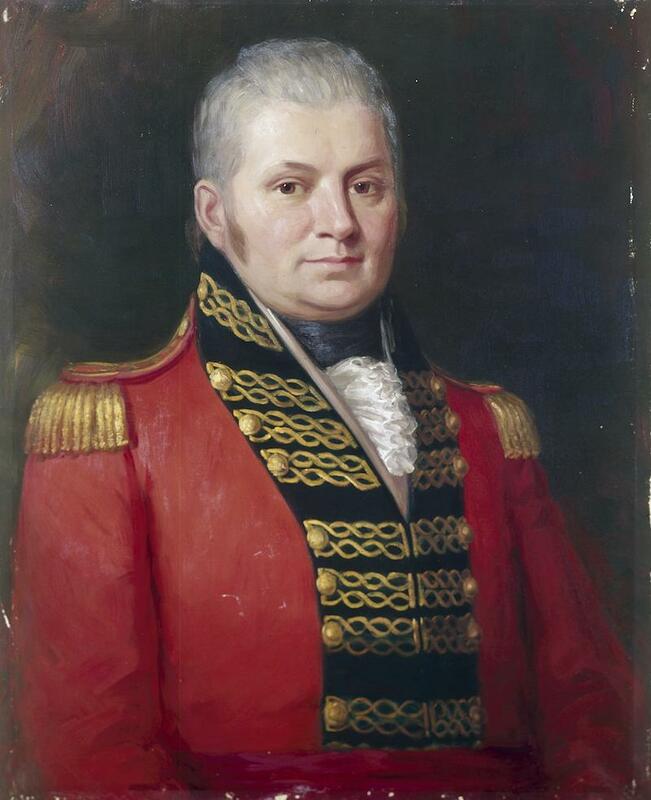 Simcoe’s joint British-Hessian-Loyalist command lost two cavalrymen; six besides Simcoe himself were wounded. Estimates vary about the number of Stockbridge Indians killed since some died fleeing British forces outside of the immediate battlefield or subsequently died of their wounds. Estimates of the dead range from 17 to 40. It appears that one of the larger estimates is the most accurate. Serving the American cause in the Revolution did little to make life easier for the Stockbridge Indians in the years that followed the war. The conflict was devastating to the Stockbridge community. A month after the disaster in the Bronx, Washington allowed the four of the Stockbridge Indians still in military service to go home to their grieving community. The survivors of the Indian Company and families of those killed were denied bounty-lands offered to all white soldiers who fought on the Patriot side. The Stockbridge community also faced a major problem that actually had begun before the American Revolution. Even before the outbreak of hostilities in April 1775, colonists had been pouring into Berkshire County. Although the Stockbridge Indian mission continued in operation until the mid 1780s under the supervision of John Sargent, Jr.. the war’s survivors were largely impoverished widows. The Indians there suffered constant land loss. By 1784, for the very first time, American Indians lost political control of the praying town when non-Indians were elected selectmen to the Stockbridge Town Council. Despite the Stockbridge service in the Continental Army and guarantees of friendship and alliance, extreme land pressures continued after the Revolution. In 1785, the Stockbridge Indians were “encouraged” to seek refuge in Oneida Country in central New York. With the construction of the Erie Canal after the War of 1812 and the rapid non-Indian settlement that resulted, the Stockbridge Indians were once again forced to migrate. They eventually resettled their community in Michigan Territory, now Wisconsin. Today, this federally recognized American Indian nation – the Stockbridge-Munsee Band of Mohican Indians – is located in Bowler, Wis. Yet their presence is still being felt in their Hudson Valley homeland. American Indians have initiated an annual intertribal powwow, now it its 16th season, at Putnam County’s Veterans Memorial Park, dedicated to the memory of the region’s great Wappinger sachem Daniel Nimham.